To be honest, I’m somewhat over Record Store Day. It has become over hyped, massively attended, and, frankly, I’m not much one for crowds. It is the Black Friday for music nerds. So I forewent shlepping it up to Bellingham and took a 25 mile bike ride instead. This left me plenty of time to make it to Anacortes and The Business for their 11am opening. Talking with Nick and Evie (the owners) as I paid, they mentioned taking bets on which record would go first. The one they anticipated to be snagged immediately had found (to no surprise) its way into my hands: Thee Oh Sees present Moon Sick: 4 New Songs Benefitting Healthy San Francisco. Moon Sick consists of unreleased tracks from the band’s Floating Coffin Sessions. Layered psych-rock with varying degrees of catchiness, Moon Sick presents four quite different sides of Thee Oh Sees. Ultimately, I found myself stuck on the B side; “Humans Be Swayed” is frantic and über-catchy. Loud, swirling guitars meet with playful vocal hooks. Here we hear melody driven by bass guitar and vocals. It is one of two songs leaning post-punk on the EP, and, undoubtedly, the more notable. “Candy Clock”, too, is equally catchy but a bit more laid back and hints of a late-60s, early-70s style of psych-rock/pop. With plenty of la las, occasional emphasis on percussive toms, and a jangle-worthy guitar riff, “Candy Clock” is the EP’s jaw-dropper. This is solid creation here. The A side takes some growing and features a little more experimentation. “Grown In A Graveyard” begins with space-age sounds and an incessant beat on the snare. Not quite noise, it does echo through fields of rampant, wavering, elongated notes that never quite seem to develop an actual melody. Melody, instead, comes in vocals. “Sewer Fire” finds Thee Oh Sees delving into something more along the lines of post-punk with shout-y vocals, a prominent bass line and garage-driven guitars. I’m more or less a newcomer to Thee Oh Sees, but I’ve been aware of the band since my days at KZUU (circa 2005-2006). In the earlier days, The Oh Sees often recorded under the name OCS — short for Orinoka Crash Suite — dating back as early as the late 90s but not releasing a proper full-length until 2003. I believe my awareness of the band came with their 2006 LP under The OhSees name Cool Death of the Island Raiders. What followed was a brief transitional period that led to their current concoction of blending garage, psychedelic and punk. 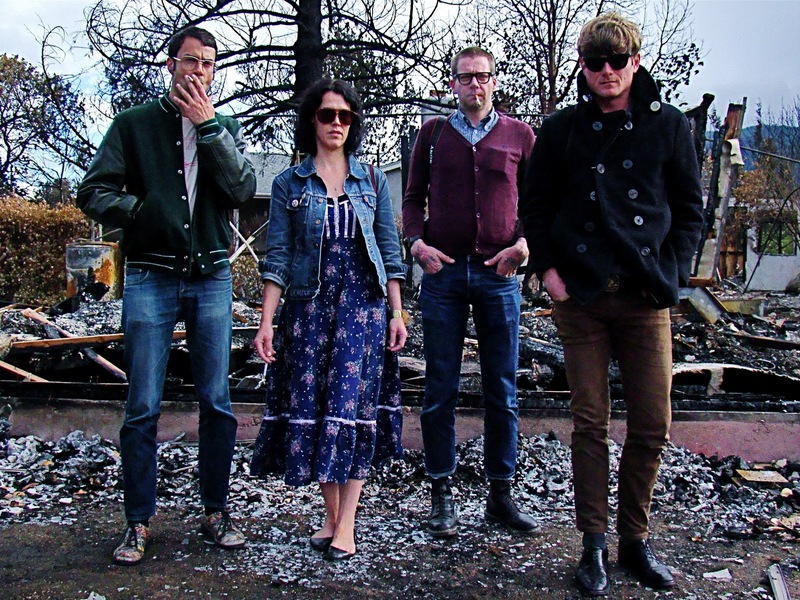 Fans of these three genres will surely find something worthwhile in Thee Oh Sees’ catalog. Hey Andy, WFAL should play with these guys when we finally make down south!